Small business owners already know the importance of having a digital presence. However, the challenge of providing fresh, consistent content is daunting. There are limited hours in a day and unlimited demands when managing a small business. “Build and Forget It” is the term used to describe what happens to many websites and social media pages. After investing to have a digital platform designed and built, content remains stale and out of date. Many of these digital spaces require only periodic updates, which is why hiring a full-time employee makes little sense. The result? A disappointing online experience for your visitors, a slowing of traffic to your website or social media pages, and a shrinking digital presence. 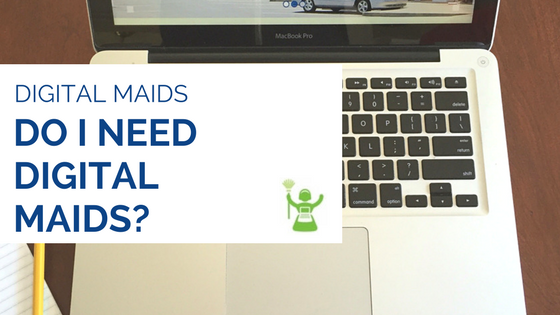 Whether you’ve taken the initial steps to invest in a great looking website or social media presence, or are starting from scratch without the time or resources required for them to be successful, let Digital Maids do it for you!